Shrouded in secrecy since its inception, The Swamp is the one crag where 99% of climbers who go there can’t name 95% of the routes. Maybe you know of the classics Nanotech, Gigajoule, and Swamp Thing, but what about these fun gems: Flashdance, The Sausage Factory, and The Big Boss? Regardless, if you’ve never been to The Swamp, here’s how. 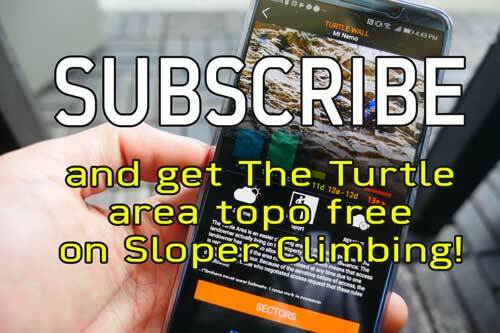 But quickly, before we get into the thick of things, remember that climbing at The Swamp is labelled as “tolerated”, meaning that you must follow “Leave No Trace” principles vigilantly. This is the official approach. 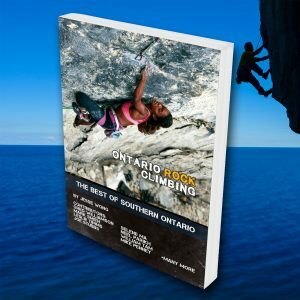 Several climbers have been using other access points, not knowing of this one. 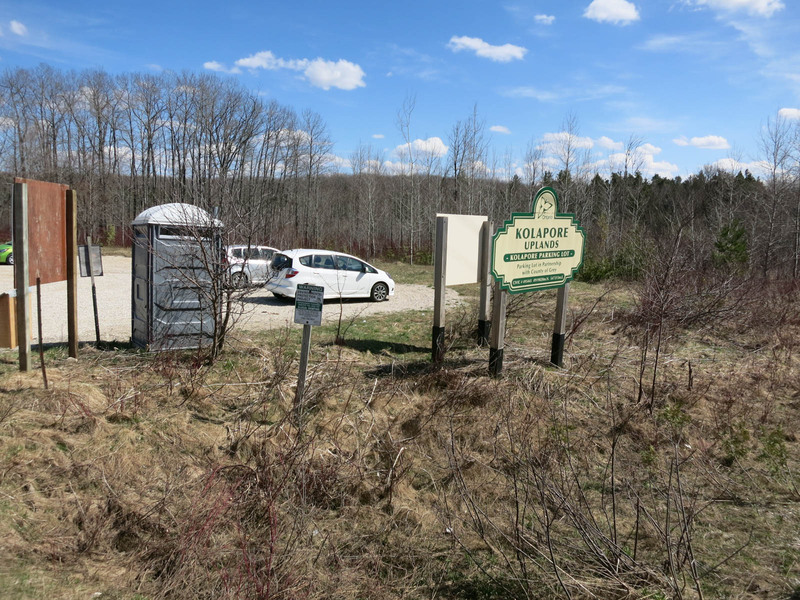 You may see several cars, but half are usually mountain bikers and hikers. Have a coffee on the way and make sure you do your business in the outhouse before heading in. Leave a donation too. 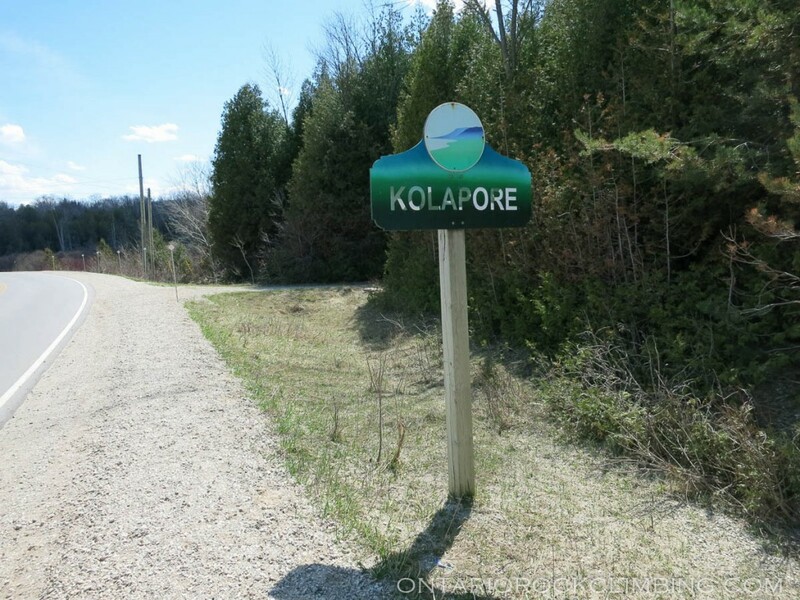 Cross Highway 2 and walk south towards and past the “Kolapore” sign. 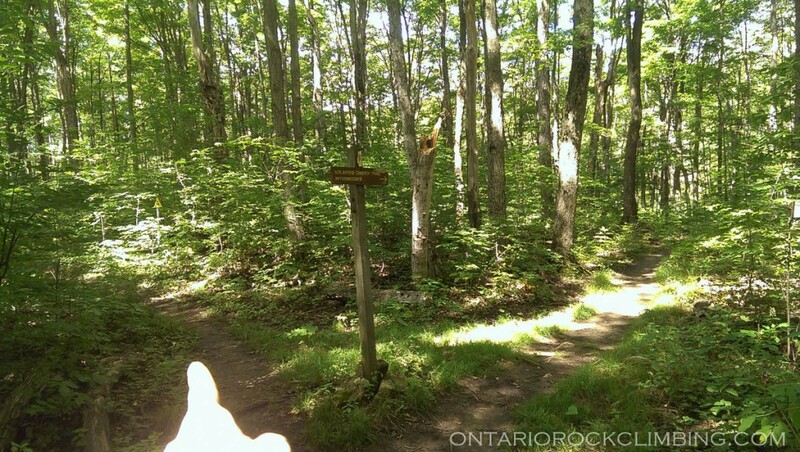 You will see a well-marked trail entrance on your right. 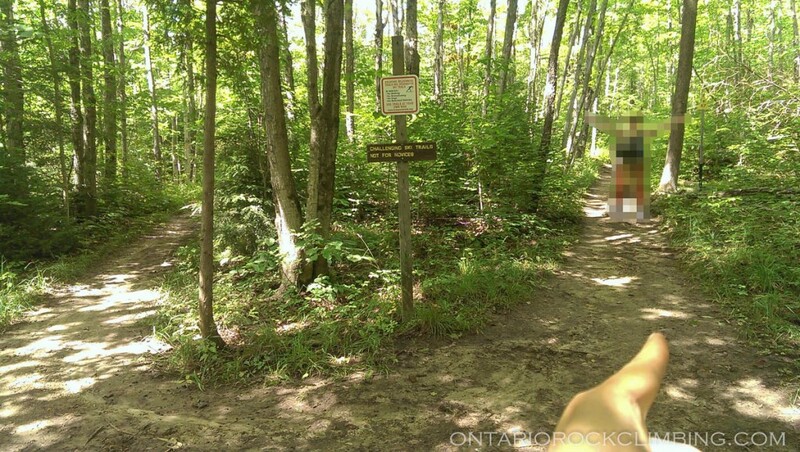 Shortly into the trail, you will come to a junction and sign “Challenging Ski Trails Not For Novices”. Go right. 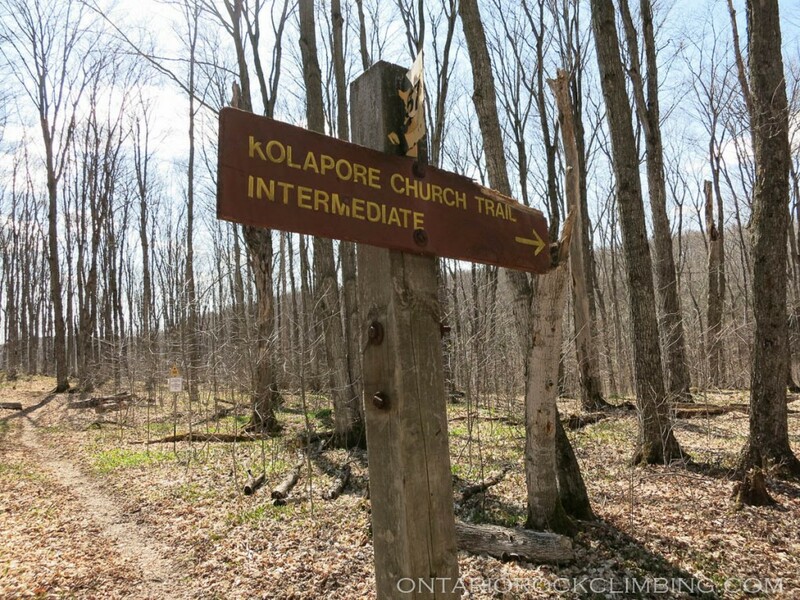 The next junction will be signed “Kolapore Church Trail Intermediate”. Go left. Kolapore Church sign in spring. Go left. 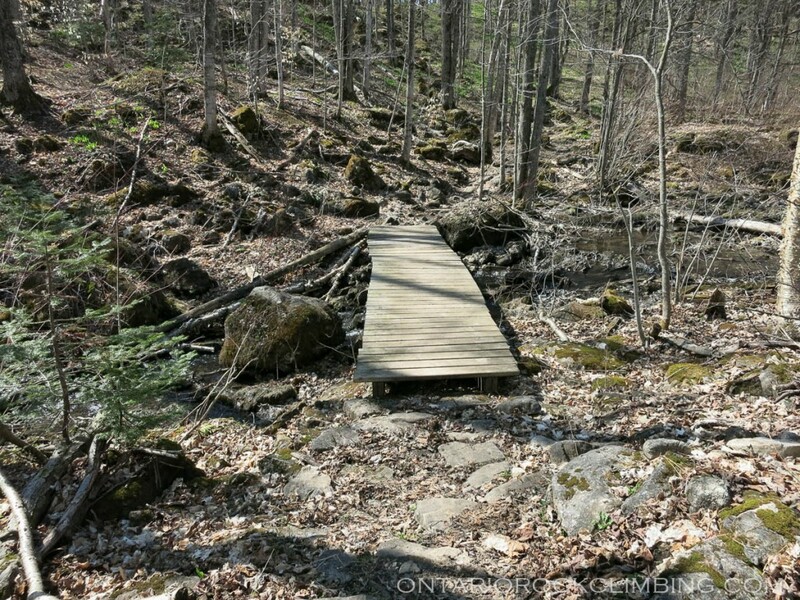 The trail will go over a boardwalk over a small stream, which may or may not be dry depending on the season. 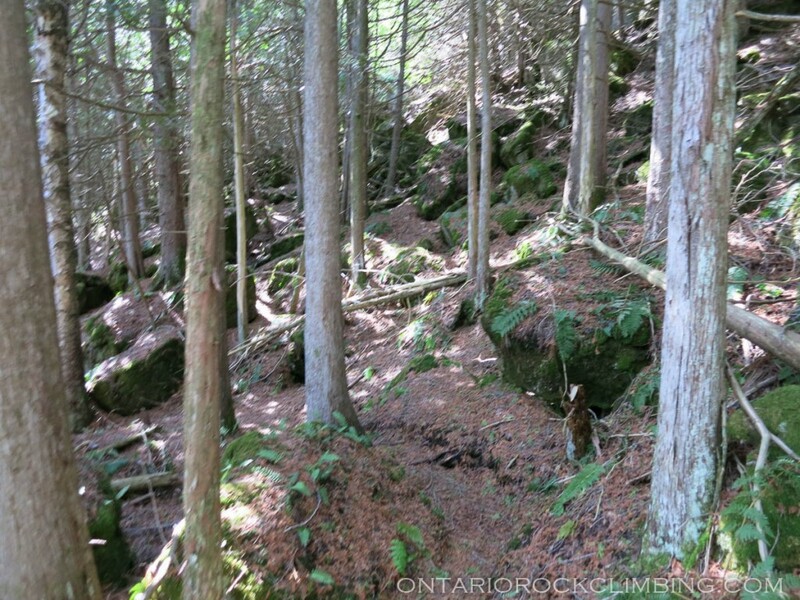 The trail will then turn sharply uphill. Boardwalk. Photo taken in spring. Go uphill after crossing the boardwalk. 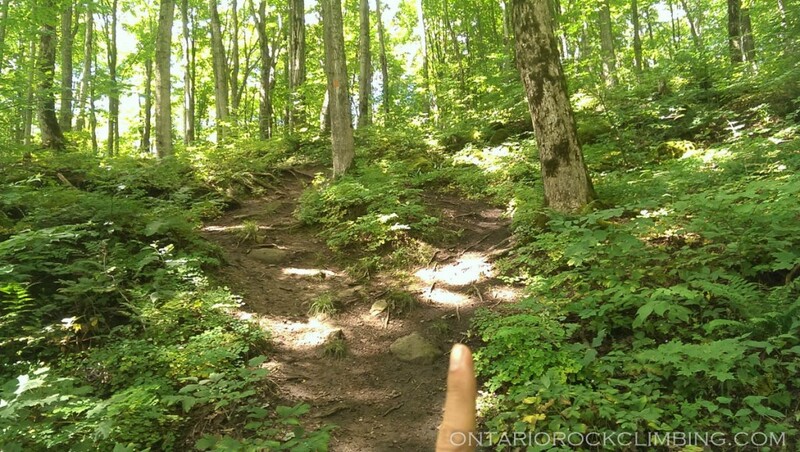 As the hill tapers off, the climber’s trail will be on your left. The Swamp Climber’s trail will be on your left. 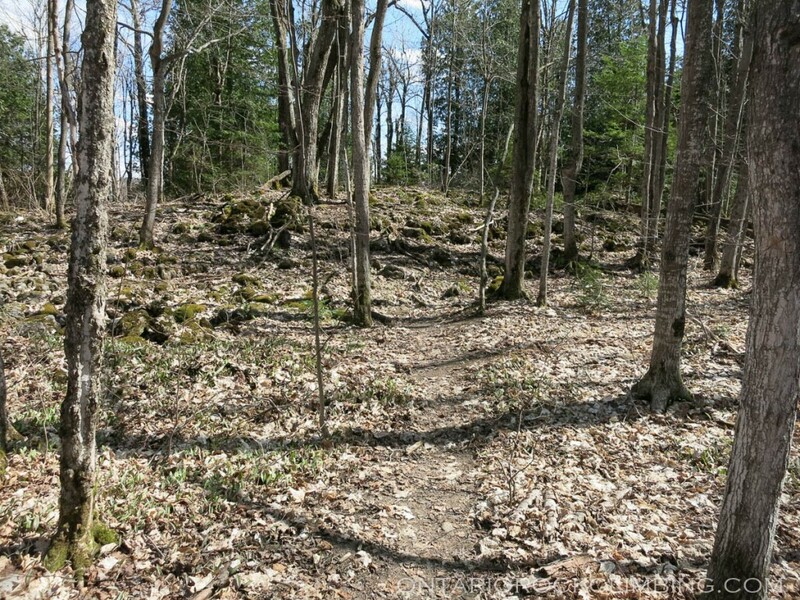 The climber’s trail will go over a mound with several exposed tree routes. Stay left of the mound, then proceed downhill. 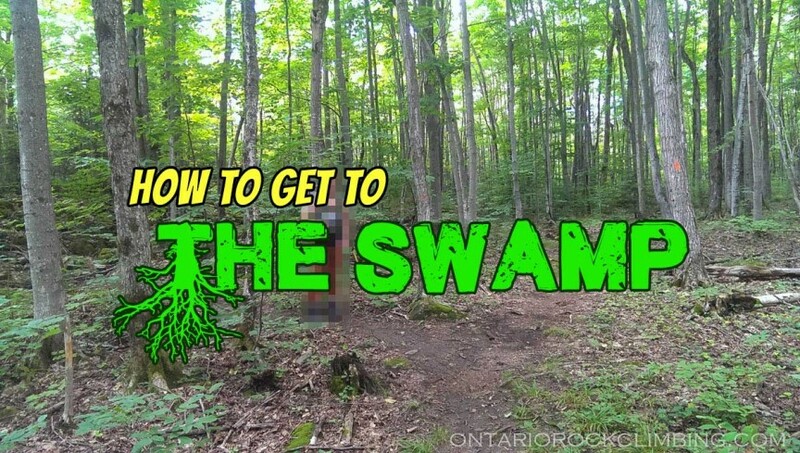 This will take you the first wall at The Swamp. Mound of tree roots. Photo taken in spring. After the mound of roots, the trail descends to The Swamp. Hike for another 5 minutes.